One of the more puzzling issues through the “maximum pressure”-period and harsh Chinese implementation of international sanctions on North Korea has been the lack fo significant changes in the market exchange rate between the won and the dollar. For a number of apparent reasons – lack of inflow of hard currency being the most significant one, as North Korea’s exports have dwindled – we should have logically seen the exchange rate appreciating, and the dollar becoming more expensive. This largely hasn’t happened. The won is still remarkably stabile, but over the past few weeks, it’s gone up to higher levels than at any point through 2017 and 2018. 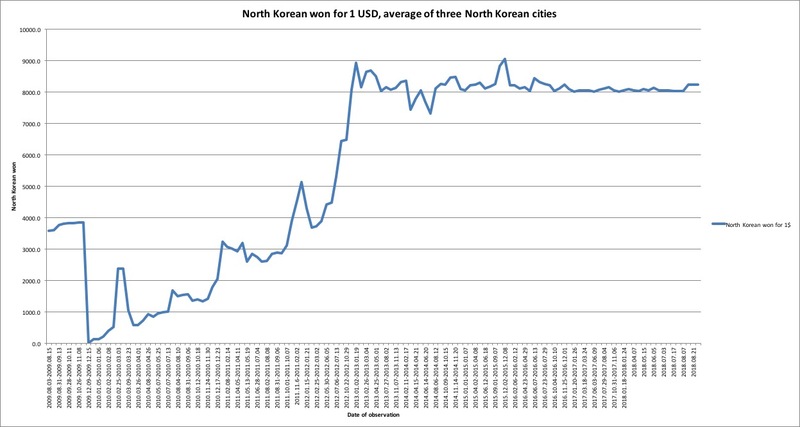 An average of the three cities reported in Daily NK’s four most recent observations show that the dollar trades for an average of about 8237 won, the highest observation that I can find in my dataset (based on Daily NK price reports) since the summer of 2016. It’s doubtful whether this suggests any significant change in market conditions. Currencies, after all, fluctuate, and this change isn’t all that great. The won is up by less than 200 since the previous observation, from 8041 on July 31st. That’s not a massive change, or beyond the scope of normal currency fluctuations. In a bigger-picture perspective, things still look remarkably stabile, as the graph below shows. Looking at the won-USD-exchange rate since 2009, it’s still very much hovering around 8000, perhaps and highly speculatively a currency peg the North Korean government has chosen, and is able to keep up through means that remain unknown. Still, a number of things may be happening here. The most obvious factor to consider is whether the current stall between the US and North Korea in negotiations is causing people to hoard dollars, anticipating further restrictions in trade and currency inflow. Off the top of my head, this seems unlikely. If the won-USD-market exchange rate didn’t move much when North Korea was being slapped with sanctions against all of its crucial export goods, I doubt that a lack of diplomatic movement could move the exchange rate to higher levels than during, say, the summer and fall of 2017, when tensions were really ramping up. It is more likely that domestic conditions are behind the increase. For example, border controls on trade and smuggling reportedly tightened on the Chinese side around mid-August. On the North Korean side of the border, too, news reports indicate that security has tightened as the 9th of September approaches, North Korea’s 70th founding anniversary. It’s also possible that the government’s generally increased demand for resources around the holiday has impacted the currency market. Alone, this increase says little. Should the USD consistently keep appreciating on the markets, however, that would suggest more serious and prolonged difficulties for border trade and economic conditions overall. The Chinese yuan apparently has growing currency in North Korea and is commonly used in daily transactions such as paying taxi fares and restaurant bills. The situation is a far cry from the 1990s, when only 4.9 percent of defectors said foreign currencies, including the U.S. dollar, were commonly used in daily transactions. Lee’s study targeted around 1,000 defectors. The results, released Feb. 28, found that 44.3 percent of defectors between 2011 and 2015 said foreign currencies were often used for transactions. However, 52.5 percent of defectors after 2013 said the yuan is chiefly used nowadays. 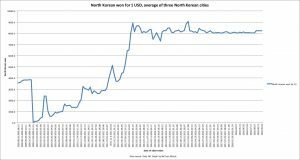 The survey highlighted the fact that China’s currency is increasingly in circulation in North Korea, which helps explain why the reclusive country’s commodity prices and exchange rates have remained relatively stable. 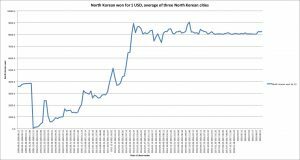 The Pyongyang regime’s decision to revalue its won currency in November 2009 eroded public trust in the monetary system by 2013 as it wiped out the savings of many North Koreans, sparking incidents of unrest and a thriving black market. North Korea’s official exchange rate is pegged at 108 won to the dollar. But on the black market, $1 (107 yen) fetches about 8,000 won. Since 2013, the U.S. dollar has continuously traded at around 8,000 won. 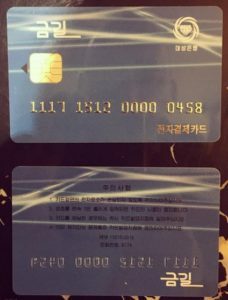 There are suspicions that Pyongyong has reduced the volume of won in circulation amid the influx of foreign currencies in daily transactions. Are DPRK hard-currency reserves expected to dry up by October? North Korea’s hard currency reserves are expected to dry up around October if international sanctions on the communist nation hold, the chairman of the parliamentary intelligence committee said Wednesday. Rep. Kang Seok-ho of the main opposition Liberty Korea Party said during a party meeting that the North’s recent peace overtures toward the South, including its invitation to President Moon Jae-in to visit Pyongyang, are aimed at overcoming such economic hardship. “I received an analysis that, if international sanctions against the North continue like this, all of North Korea’s foreign currency earnings and overseas assets will be frozen, and its dollar (reserves) will dry up around October,” the lawmaker said. Kang didn’t say where the analysis came from, including whether it’s from the National Intelligence Service. “At a time like this, our government should further strengthen cooperation with the international community on sanctions against the North,” Kang said. In 2017, the North’s exports to China — the only remaining market it officially trades with — plunged by 37 percent on-year. This year, they could plummet more than 90 percent if China fully complies with the sanctions. Despite a sharp fall in exports, imports remained unchanged, suggesting a thinning of foreign exchange reserves. 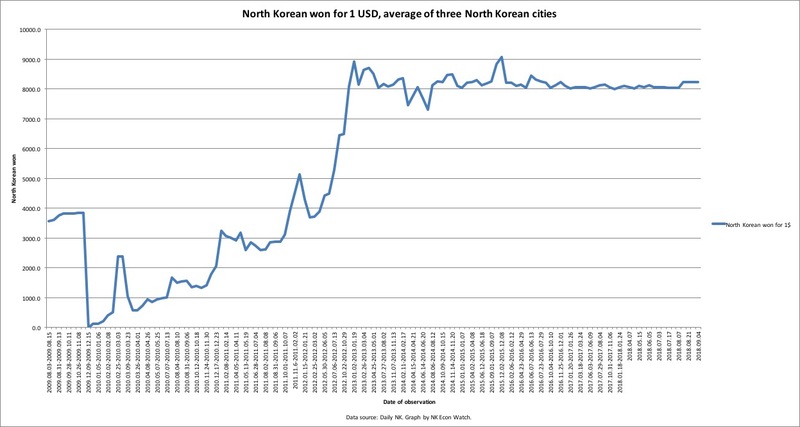 Pyongyang is estimated to have about $3 billion in foreign exchange reserves. The unregistered sum could be higher when including foreign currency hoarded away by the elite. The coffers will fall further this year. By the second half, North Korea could be short on foreign exchange. The Joong-Ang Ilbo article offers additional data and is well worth reading. $3 billion seems low to me, but I can’t prove it. The black market value of the won has not moved much (since 2012! ), and I have to suspect that the currency traders in the DPRK have a better idea of the country’s foreign exchange reserves than I do. North Korea cleared off its debt to Poland in 2012 after the European country signed a deal with the North to write off 61 percent of the debt the previous year, Voice of America reported Thursday. The Polish Treasury Department told VOA’s Korean Service that Poland held talks with North Korea on a debt write-off in 2011 and the North implemented what it was required to do under the agreement the same year. According to the contract obtained by VOA, the agreement, signed in Pyongyang on June 1, 2011, stipulates that the North’s debt amounted to roughly US$4.31 million as of the reported year, including the production and delivery costs of Mi-2 military helicopters for which the Polish communist regime struck a deal with the North in 1986. The report also said Poland’s debt relief was linked to the North’s provision of US$1.5 million in cash to purchase a ship to a North Korea-Poland joint venture shipping firm established in 1967. Under the debt write-off deal, the North was also required to foot the bill of $200,000 to repair the Polish Embassy in Pyongyang. The repair project was based on an agreement between representatives from the two countries’ foreign ministries and the North was obligated to transfer the money to the embassy’s account. In case the obligations are fulfilled, the agreement says, Poland will write off 61 percent of the North’s debt that corresponds to around $2.61 million. North Korea currently owes debts to Sweden, Switzerland and Finland. The countries earlier said they had no intention of writing off the North’s debts. The big four Chinese State-owned banks have stopped providing financial services to new North Korean clients, according to branch staff, amid US concerns that the Chinese government has not been tough enough over North Korea’s repeated nuclear tests. Tensions between the US and North Korea have increased after the sixth nuclear test conducted by Pyongyang on September 3 prompted the United Nations Security Council to impose further sanctions on Tuesday. Chinese banks have come under scrutiny for their role as a conduit for funds flowing to and from North Korea. China Construction Bank (CCB) has “completely prohibited business with North Korea,” said a bank teller at a branch in Northeast China’s Liaoning Province. The ban started on August 28, the teller said. A person answering the customer hotline at the world’s largest lender, Industrial and Commercial Bank of China (ICBC), said the bank had stopped opening accounts for North Koreans and Iranians since July 16. The person did not explain why or answer further questions. The measures taken by the largest Chinese banks began as early as the end of last year, when the city branch of Bank of China (BOC) in Dandong, Liaoning Province, which borders North Korea, stopped allowing North Koreans to open individual or business accounts, said a BOC bank teller who declined to be identified. Existing North Korean account holders could not deposit or remove money from their accounts, the BOC teller said. 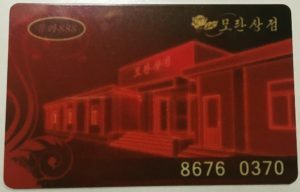 At Agricultural Bank of China (ABC), a teller at a branch in Dandong said North Koreans could not open accounts. The teller did not provide further details. Official representatives for BOC, ICBC, CCB and ABC could not be reached for comment. Banks in Dandong have been under the microscope as tensions have risen, given the city’s proximity to North Korea. In June, the US accused the Bank of Dandong, a small lender, of laundering money for North Korea. Attempts to slowly choke off the flow of funds to and from North Korea come after the US imposed sanctions on a Chinese industrial machinery wholesaler that it said was acting on behalf of a Pyongyang bank already covered by UN sanctions for supporting the proliferation of weapons of mass destruction. China’s biggest banks have banned North Koreans from opening new accounts in an unprecedented move to clamp down on financial flows with the country’s unruly neighbour. Multiple bank branches, including those of the country’s top four lenders, told the Financial Times they had imposed a freeze on new accounts for North Korean people and companies. Some are going even further, saying they are “cleaning out” existing accounts held by North Koreans by forbidding new deposits. Banks implementing a ban on new accounts include the country’s big five — Bank of China, China Construction Bank, Agricultural Bank of China, and Industrial and Commercial Bank of China and Bank of Communications. Branches of each of these banks in China’s north-eastern border towns, where trade with North Korea is concentrated, said they had been instructed to stop opening new bank accounts for North Korean individuals or companies. Branches of three of the banks said they were in the process of cleaning out existing accounts, while the remainder did not comment on procedures for existing accounts. Although some bank branches said they had received notice of the freeze on North Korean accounts last month, others said they had been told as early as January. “Branches didn’t implement the rule all at the same time but it started recently,” said one branch of ABC in Dandong, the border city through which roughly 70 per cent of China’s trade with North Korea flows. However, traders pointed out that there were ways to get around the account ban to continue doing legal business with North Korea. “We always use Chinese citizens living in North Korea as intermediaries when doing business,” said one groceries trader in Dandong who wished to remain anonymous because of the political sensitivity around North Korean trade. “There’d be no reason to freeze Chinese nationals’ accounts, unless they’re sanctioning individuals,” he added. Two Chinese businesspeople who run companies in North Korea — one of whom is based in the Chinese border town of Hunchun and one in Pyongyang — said all their transactions, such as payments to North Korean staff, were made in cash in Chinese renminbi, avoiding the need to have dealings between North Korean and Chinese banks. Here is additional coverage in the BBC. Chinese banks have reportedly banned North Koreans living in China from opening up new accounts, and have ordered existing accounts to be closed. According to the source, the new order applies to the four major state banks, as well as the Construction Bank of China, and regional private banks such as Pudong Bank. The new measures do not come without precedent. After North Korea’s third nuclear test, China implemented a provision of United Nations Security Council Resolution 2094 that involved suspension of a deal with North Korea’s Joson Trade Bank. However, the UN resolution did not address individual accounts. Following this, the North Korean authorities began circumventing international financial sanctions by opening accounts in individuals’ names and remitting investment capital and commercial payments to and from Chinese companies. Because the bank accounts of North Koreans residing in China are being closed, North Korean laborers are having difficulties remitting money back home. 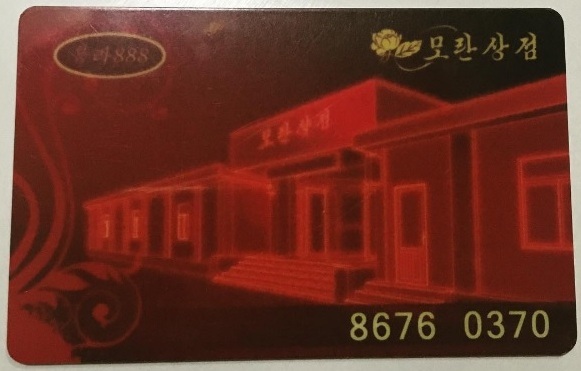 “Under the old system, the monthly wages of North Koreans working in Chinese factories were transmitted through the bank account of the North Korean factory manager. This is no longer possible, so they are being paid in cash,” the source explained. Also relevant to the measure is that North Korean-Chinese collaborative ventures have been banned from using bank accounts, so seed money is now required in cash. “Normally, when North Korean merchants want to start a new business in China, they make a business plan and submit it to Pyongyang. Upon approval, they seek out cooperation and investment from Chinese investors. 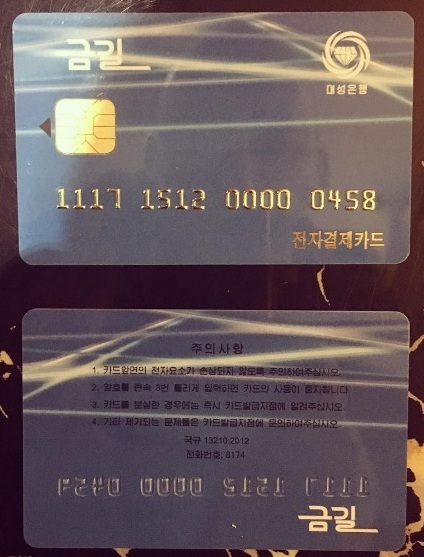 But now, even if the investment request is approved, it isn’t possible to open a bank account so the investor needs to use a third party to provide cash directly,” the source said. The Chinese Ministry of Commerce announced on August 25th that it is banning new joint ventures with North Koreans in China and additional investments. “The Chinese government is publicly announcing that they are banning business projects with North Koreans and closing North Korean bank accounts, but many loopholes remain in place. Money can be laundered on the North Korean side and passed through Southeast Asian nations,” a separate source in China with knowledge of the matter said. Rice prices in North Korea’s markets are reportedly on a downward trend. It was originally expected that the sanctions implemented by the international community would lead to inflation due to trade reductions, but a year after the sanctions were implemented, prices have instead fallen due to the steady development of marketization and active trade with China. According to recent findings by Daily NK, rice is trading at 4,000 KPW (per kg) in Pyongyang, 3970 KPW in Sinuiju, North Pyongan Province, and 4190 KPW in Hyesan, Ryanggang Province. This represents an approximate 1,000 KPW reduction from a year ago (Pyongyang 5019 KPW, Sinuiju 4970 KPW, Hyesan 4980 KPW). The price of rice in Hoeryong City (North Hamgyong Province), which suffered severe flood damage last year, is at approximately 3,600 KPW. “Rice was about 5,000 KPW in January, but prices have fallen now, so women preparing for the New Year’s holiday were fairly pleased,” she said. “Rice prices have also been slowly dropping since the end of last year at the Pyongyang markets and reached 4,000 KPW this year. Traders (who purchase products to sell elsewhere) lining up at the market entrance to buy rice coming in from the countryside are saying that the amount of rice circulating in the markets has definitely increased compared to January last year,” a source in South Pyongan Province said. VOA (Voice of America) reported on January 26 that North Korea’s total rice imports from China amounted to 4.2 million tons last year (2016), a 2.4-fold increase over the previous year (2015). This statistic was put forward by Kwon Tae Jin, Director of East Asia Research at the GS&J Institute, citing an analysis of data published by China’s General Administration of Customs. Sources within North Korea have consistently pointed out that revitalized market activities have played a role. “In the past (Kim Jong Il’s time), rice prices increased whenever the regime cracked down on market activities, but people are now able to do business without many restrictions. In the current situation, it’s unlikely that the price will suddenly jump,” a source in Ryanggang Province said. Market stability has been a hallmark of Kim Jong Un’s rule and is thought to be reducing backlash from the general public as their quality of life improves. However, the ongoing decline in rice prices is likely to lead to livelihood instability for farmers. If rice prices fall while the prices of other commodities (Chinese imports) remain the same, issues are likely to arise. “The prices of commodities other than rice have mostly increased. As a result, a growing number of farmers are worrying that they will be unable to survive on farming alone,'” the Ryanggang-based source said. You are currently browsing the archives for the Fiscal & monetary policy category.